Attending the Cannes Festival is by invite only, so it truly is an exclusive collection of the world’s best talent from the film industry. This edition will be no different as actors, directors, producers and other professionals arrive on charter flights to Cannes to celebrate the next wave of must-see films on the shores of the French Riviera. Whether you’re booking charter planes because you’ve been selected to attend the event, or you’re travelling there to soak up of the star-studded atmosphere (and the sunshine), it’s an enthralling time of year to visit this part of the world. The official selection of films for Cannes is announced on the festival website, usually around mid-April. The festival previews new films of all genres, including documentaries, from around the world. In particular, it has become an important event for promoting European-made films to a worldwide market. Life on the French Riviera is all about style and comfort. By booking charter flights to Cannes with Stratos, you get the same experience while flying at 40,000 feet. Cannes-Mandelieu (LFMD) is the major gateway for private jet charter services flying into Cannes and the French Riviera area. 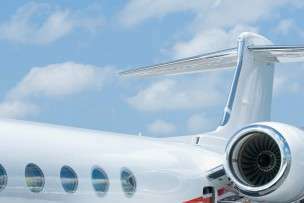 Located west of the city, the airport has a dedicated private jet terminal for convenience and discretion. Are you flying to Cannes for the film festival? Stratos Jets arranges luxurious private jet charter services that will help you arrive relaxed and ready for adventure. Call (888) 593-9066 (toll free) or request a quote online.